Blacked-out and loaded with premium features. 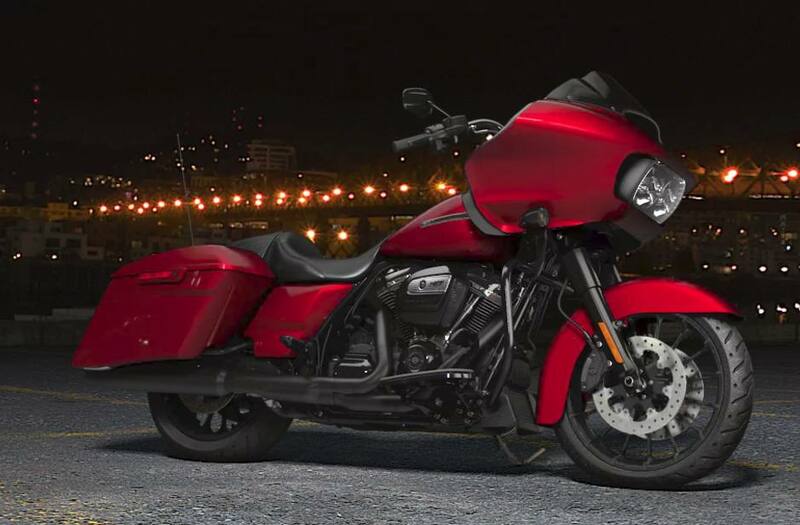 Fire up the thrill-inducing Milwaukee-Eight® 107 V-Twin engine and you're in for one hell of a ride. All-New Blacked-Out Talon® Wheels: Big, bold wheels with spokes that extend all the way to the edge of the rim, so you can roll in with style and attitude. Premium BOOM!™ Box 6.5 Infotainment System: A stylish 6.5-inch full-color touch screen display with voice activation for hands-free mobile phone, media, and navigation. Delivers powerful, pure sound and dynamic full-range audio. Weight, As Shipped: 820 lb. Weight, In Running Order: 855 lb. Lauguages: "English (US/UK), German, Spanish (Mexico/Spain), French (Canada/France), Italian, European Portugese"
Voice Recognition Languages: Phone functions only: "English (US/UK), German, Spanish (Mexico/Spain), French (Canada/France), Italian, European Portugese"